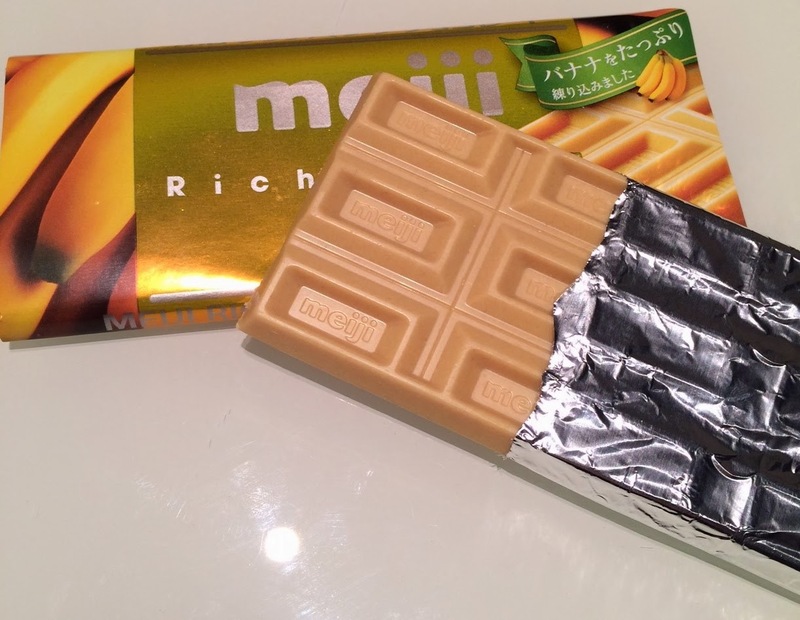 Meiji, a Japanese confectionery company, launched "Rich Banana Chocolate" on December 17, 2013. And this one of my husband's souvenirs from Japan. It's a 40g chocolate bar and the percentage of banana used for this chocolate is 70% if you convert the portion to fresh bananas. * This chocolate uses dried bananas. When I opened the package, very intense banana flavor came out. And the color was yellowish, which I'm sure that they used some food coloring. It smelled like real banana, and it tasted like real banana, too! I like chocolate covered banana, and this chocolate was similar to that but this was smoother and richer in taste. If you like both banana and chocolate, this would be a perfect snack.